​Crystal Palace are close to agreeing an initial loan deal for Sao Paulo goalkeeper Lucas Perri following a recent injury crisis at Selhurst Park. 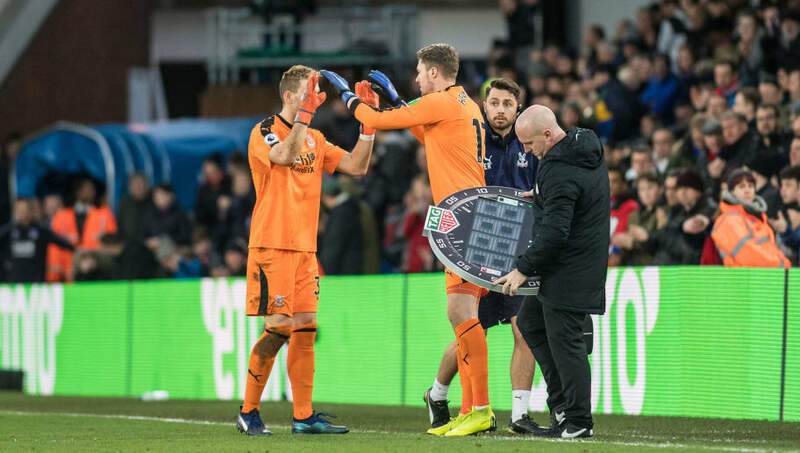 Current number one Vicente Guaita went off at half-time during the recent 2-1 defeat to Watford with a calf strain, while his replacement, Wayne Hennessey sustained a quad injury following his introduction in the second period. depending on how well he does. reportedly beating Fiorentina in order to land the 21-year-old, whose contracted at Sao Paulo until 2022 having agreed new terms last year. The proposed paperwork for the deal however isn't expected to go through in time for Palace's next game, which is away to Liverpool in the ​Premier League, meaning 39-year-old Speroni is set to make a first appearance since December 2017; his 404th for the club. In order to ready the veteran shot-stopper for the game, Speroni is set to play a behind-closed-doors game against Queens Park Rangers later in the week to aid his preparations ahead of the trip to Anfield. Palace are currently 14th in the Premier League following their 12th league defeat of the season to Watford, which sees them just four points above the relegation zone.